Johannesburg - Sasol shareholders have formally approved its new R21bn Broad-Based Black Economic Empowerment (B-BBEE) scheme, known as Sasol Khanyisa. 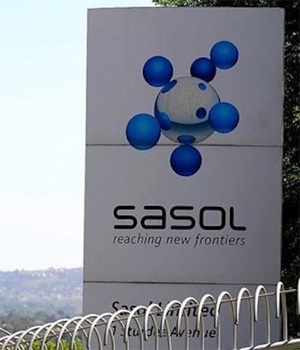 In a statement issued by the energy and chemical company on Friday, Sasol [JSE:SOL] said Sasol Khanyisa will "see 25% ownership of Sasol South Africa in the hands of Black South Africans". It said the approval was granted at a general meeting following its AGM. Sasol shares were trading at R430.26 when the JSE closed, up almost 1%. "Sasol Khanyisa is intended to achieve effective direct and indirect B-BBEE ownership of at least 25% in Sasol South Africa, a wholly-owned subsidiary of Sasol. Sasol South Africa houses Sasol’s most cash generative assets, which include its synthetic fuels, chemicals and gas businesses," read the statement. Sasol Inzalo was founded in 2008 is set to be disbanded next year. Sasol Khanyisa will be implemented from June 2018, said Sasol Limited's joint President and CEO Bongani Nqwababa. Those eligible to participate in Sasol Khanyisa include qualifying Sasol employees, existing Sasol Inzalo shareholders and current black Sasol shareholders that own shares listed on the empowerment segment of the JSE. “Through two invitations eligible existing Sasol Inzalo Group and Public shareholders will receive bonus Sasol BEE ordinary shares (SOLBE1) that trade on the BEE segment of the JSE, at no additional cost to them,” Sasol explained. The bonus SOLBE1 and additional SOLBE1 shares are tradeable from June 2, 2018, Sasol said. Sasol clarified that the Sasol Inzalo Foundation will be renamed, and will continue as public benefit organisation focussed on promoting science, technology, engineering and mathematics, or STEM education.